Some like Farah Khan and Zoya Akhtar had sterling antecedents but it took a tough childhood and intermittent assignments on film sets to win the box office with Om Shanti Om and Zindagi Na Milegi Dobara, while Ashutosh Gowarikar auditioned for folk dances and failed with his debut film, Lagaan created cinematic history and Anurag Basu had to first dance as a background extra and later overcome cancer to witness Barfi win hearts and awards. These and other hitherto unfamiliar stories of directors belonging to the "100 crore club" like Rohit Shetty and Rakeysh Omprakash Mehra, the adventurous Kabir Khan and the maverick, Mahesh Bhatt take us through the unusual lives of 15 filmmakers of extraordinary films. Sonia Golani achieves the incredible by sitting each director down to candidly discuss the hype around the Oscars, the exclusivity of the "100 crore club", effect of corporatization and much more. 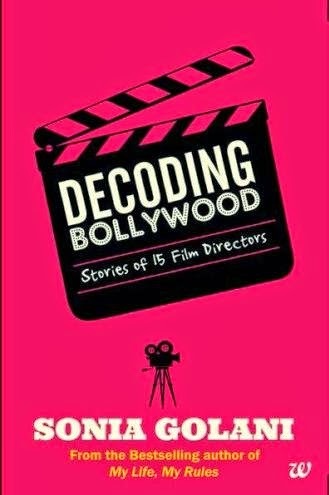 Decoding Bollywood is more about demystifying the "world of Bollywood" than a mere decoding of 15 directors who have created benchmarks in their respective genres for generations to follow. Sonia Golani has a BA (Hons.) in History from Lady Shri Ram College and a Masters degree from the University of Delhi. An entrepreneur, she manages her firm, Management Consultants Group which specializes in recruitment of MBAs, CAs and other qualified professionals for Banking, Financial Services, Insurance and FMCG sectors. Sonia had the distinction of securing second rank in Rajasthan State in class X Board examination. She completed ISC from Maharani Gayatri Devi Girl’s School, Jaipur and was the school topper. While in college at Lady Shri Ram College, Delhi, she was elected as Treasurer, Students’ Union. Sonia’s first book, Corporate Divas was published by Penguin to much acclaim in October 2011. Corporate Divas brings forth the stories of 18 women business leaders and offers inspiring insights into what motivates and sustains them. It’s a useful resource for ambitious young professionals, especially women, aspiring for success in the corporate world. It explores what it takes for women to achieve pinnacle of success in their career. Sonia’s second book My Life, My Rules was published in February 2013 by Tata Westland and soon after it was featured in Nielsen’s Bestsellers list. My Life, My Rules endeavours to challenge the idea of degrees & conventional careers as a measure of success and happiness in our society. All the individuals who have been covered in the book have had conventional success but they were missing happiness. That happiness came from doing the work they liked. ‘To do what you like is freedom. To like what you do is happiness’ can be said to be the tagline of the book. This book is an attempt at broadening the way our society thinks. By writing about people who have taken such calls in life, she has showcased their struggles, thought process and success stories which may inspire others who also want to follow such path. Sonia is currently working on her third book which is based on Bollywood in commemoration of 100 years of Indian cinema. Playing and following golf is her favourite pastime. Passionate about life and its nuances, Sonia plans to write several more books, play more golf and help people make better careers for themselves – and hopefully do all of this with equal fervour! One of my first and foremost reactions to reading the blurb of this book was "WOW, now this is inspiring." Time and again we have spend hours watching the movies made by these spell binding directors and wondered in awe about their immense talent. This book gives us a chance to understand what goes in their minds as they move that magic wand swiftly to recreate magic for us again and again with their movies. The author Sonia Golani has done a wonderful job in keeping the narration more conversant, in a way where the reader feels as if he or she is a part of the conversation and is witnessing it happening in front of his or her eyes. That has added the much needed charm to this book which would otherwise had sounded very preachy. The directors as they narrate their tales, share their experiences and fears, you will feel your hearts opening up to them a bit more than before. By the end of the book you fill find that they have made a place in your hearts, which is now a bit more larger than before and this time with a lot more love than ever. And this is what this book causes! It makes us look at the hard work, sweat, tears, blood and tons of patience that goes behind each and every crafted movie. It is not only about the lights, camera and action or about those glamorous scenes that we see at movie theatres and clap loudly at. It is much more than that. It is about sleepless nights, it about looking for an inspiration around the world, being obsessed with an idea so much that you forget to eat, breathing a story in every breath till it becomes YOU and that is when a master piece is created. I applaud the author's efforts in keeping this book so gripping with her chatty conversations, liberal usage of Hinglish words and the infectious humour she has added in every chapter that leaves you with a smile. It was like watching a live interview of the director with the author on television as you smiled page after page and almost at the end begin to clap subconsciously forgetting for a moment that THIS was after all a book, which was undoubtedly very well crafted. A must read for all Bollywood lovers and aspiring authors / story writers - this is how stories are born! 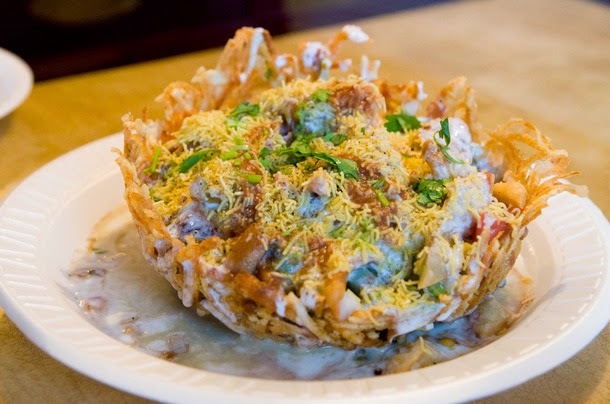 This book is like tokri chaat - tangy, tasty, lip smacking and delicious! Some are born talents and some are hard-earned talents and third type pretends but not a bit is found in them. nice elaboration.